As announced on Context Travel’s blog…. Our in-depth walking tours are designed to paint an inspiring picture of the city, creating memorable experiences of learning and discovery along the way. Concentrating on the wealth of knowledge our docent has to offer, it can be tough to remember to capture these travel memories. 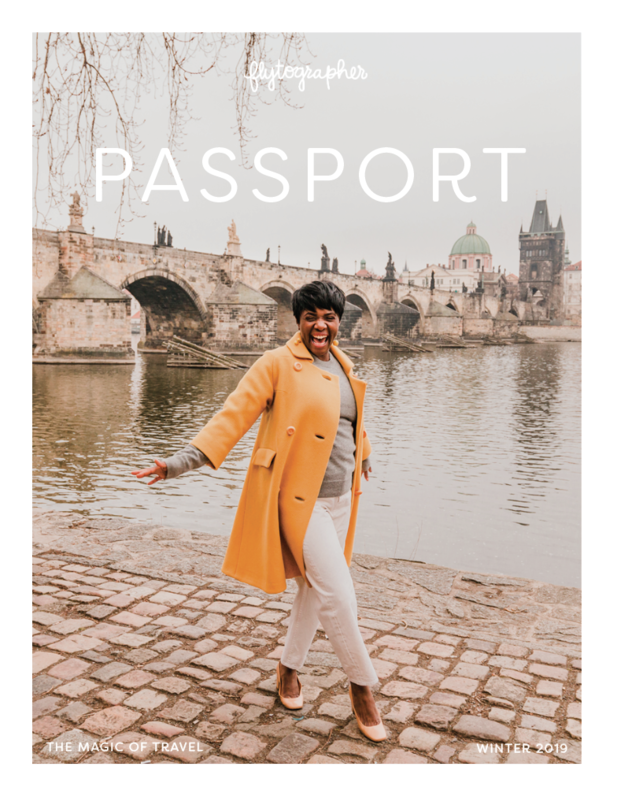 We’ve teamed up with Flytographer to offer a special package: those booking private walks with us in Amsterdam, Berlin and Prague have the opportunity to be joined by professional local photographer. Not only will they make sure your Context experience is distraction-free, you’ll also receive an album of high-quality digital photographs, so you can go on savoring those experiences–and share them with others. Docent, Tim, leading a private tour in Amsterdam. Flytographer, Traci White captured memories as they strolled. 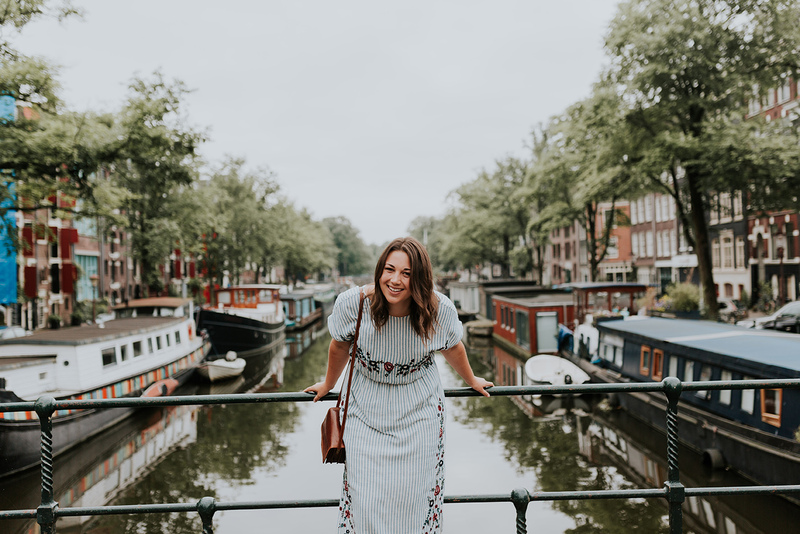 We chatted to Traci White, a local photographer based in Amsterdam, for the inside story on what to expect when a Flytographer joins your walk. Context: What is your background? How long have you been a photographer and why did you decide to become one? Traci White: I’ve been working as a professional photographer since 2007 – I graduated from UNC Chapel Hill’s journalism program and I worked as a staff photographer at newspapers in North Carolina and Virginia for four years until moving over to the Netherlands in 2011 to live with my fiancée, who’s Dutch. I actually decided to become a photographer while I was studying abroad in Groningen, a city in the north of the Netherlands, in 2005 – I realized that instead of buying souvenirs, I wanted to remember and to share all the things I was seeing as I traveled through Europe by saving those moments in pictures. The architecture and the liveliness of what was happening in the narrow, cobblestone streets inspired me to try to make photos that would capture how it was to be there. After I ended my semester abroad, I signed up for photojournalism classes right away! My documentary work has been featured in Cosmopolitan magazine, the Atlantic In Focus blog, at the United Nations and in the New York Times. 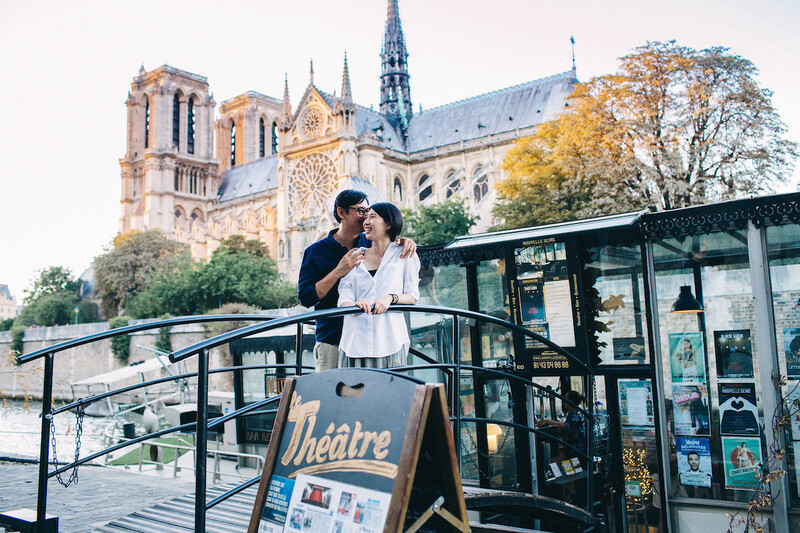 CT: What does a typical Flytographer shoot involve? TW: The Flytographer approach is a mix of fly-on-the-wall candid shots of clients just taking in the sights and sounds of the city, as well as a little bit of guidance and suggestion – we encourage customers to really participate in the city by doing things like tasting Dutch cheese samples in a market or riding a bicycle built for two in the Vondelpark. I always enjoy sharing my favourite local secrets/tips, too! For Flytographer shoots, customers can choose 30 minutes, 60 minutes or 90 minutes. Afterwards, I edit the best photos as quickly as possible, so that they’ll be ready for our clients when they get home from their awesome vacation. CT: What’s your most memorable Flytographer shoot? 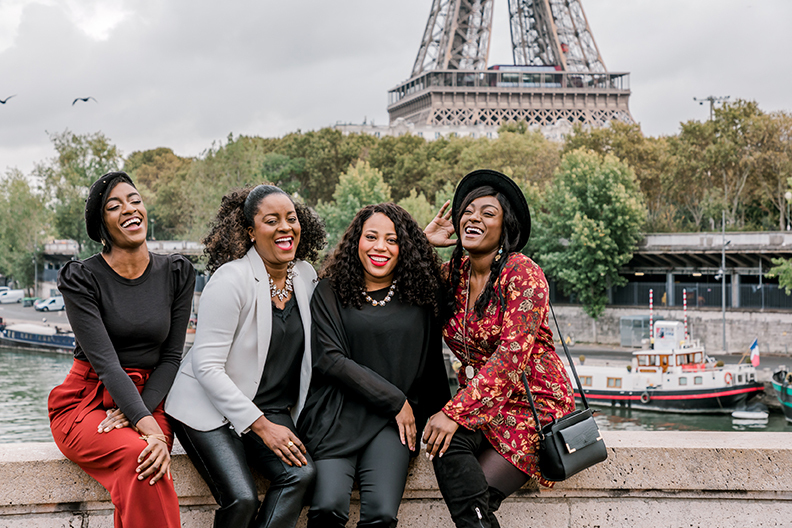 TW: I got to do a shoot with a group of female travel bloggers last year in the fall while they were going on a guided tour with Context Travel. As a photographer it was a glorious time to be in Amsterdam because the leaves were really peaking in color and the light was nice and clear. 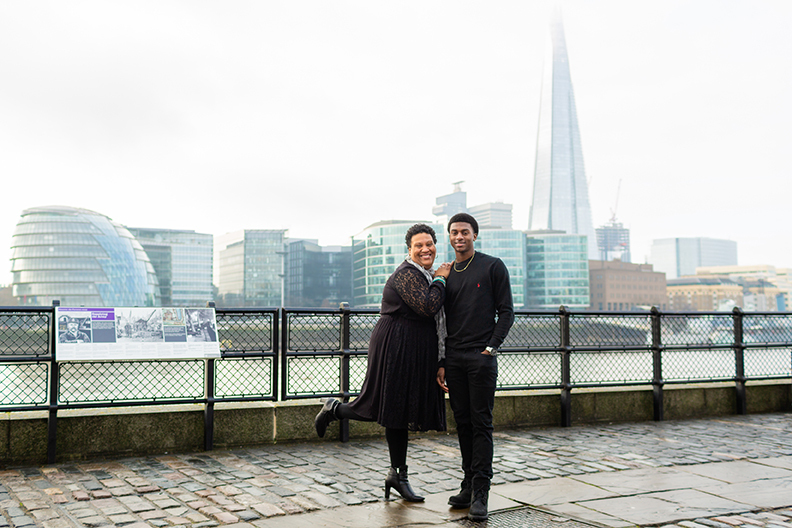 When photographing clients on a Context tour, it’s great that they have something else to focus on aside from knowing they’re having their picture taken because the photos are more effortlessly natural. It was also very informative for me to get to learn more about Amsterdam’s history from Tim, the tour guide. We walked through the Rembrandtplein where there’s a recreation of the painting “The Night Watch”, with life-sized statues, and it was fun to have the bloggers get into the painting and into history that way. CT: Our walks take people all over the city, from world-famous sites to lesser-known gems, covering a variety of themes and topics: what challenges and opportunities does this pose for you as a Flytographer? 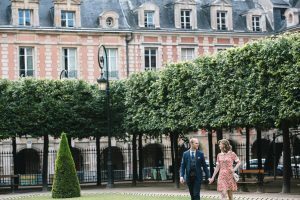 Our Flytographer experiences are available in combination with any of our walks inAmsterdam, Berlin and Prague. The package is based on a one-hour shoot during the walk of your choice, and afterwards you’ll receive a gallery of 30 high-resolution digital images. Book online or contact us for further information.